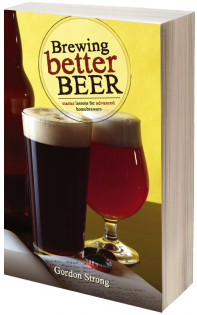 Brewing Better Beer is a comprehensive look at technical, practical and creative homebrewing advice from Gordon Strong, three-time winner of the coveted National Homebrew Competition Ninkasi Award. Discover techniques, philosophy, recipes and tips that will help you take your homebrew to the next level. Award-winning brewer Jamil Zainasheff teams up with homebrewing expert John J. Palmer to share award-winning recipes for each of the 80-plus competition styles. This book presents every award-winning recipe in both extract and all-grain brewing formats, making them accessible to brewers of all skill levels. Each recipe includes specific tips for understanding the style and tips for brewing a great example suitable for competition or impressing your friends. The duo also gives sure-footed guidance on selecting ingredients, making starters, and other techniques useful for reproducing these classic and modern beer styles. With Designing Great Beers you become the brewmaster. Author Ray Daniels provides the brewing formulas, tables and information to take your brewing to the next level in this detailed technical manual. 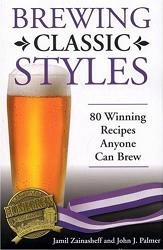 Designing Great Beers: The Ultimate Guide To Brewing Classic Beer Styles is more than just a recipe book or merely another 'how-to' manual, it is an indispensable guide intended for brewers interested in formulating their own beers based on classic styles, modern techniques, and their own vision of the perfect beer. 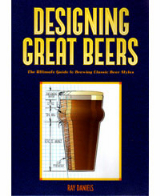 With more than 200 tables, Designing Great Beers offers brewers knowledge on the essence of various styles, giving them the needed insight to create their own beers. Author Ray Daniels provides the brewing formulas, tables and information to take your brewing to the next level in this detailed technical manual. The definitive book of home brewing in the modern era. Everything needed to brew beer right the first time. Presented in a light-hearted style without frivolous interruptions, this authoritative text introduces brewing in a easy step-by-step review. Craft beer is about innovation, discovery and interpretation. Homebrewing is about all that and more! As the beer scene evolves, so do the beer styles we know and love. In Modern Homebrew Recipes, Grandmaster Beer Judge and author Gordon Strong takes you on a guided journey of brewing discovery that includes information about some of the latest BJCP style changes. Following a primer on specific mashing and hopping techniques, recipe formulation fundamentals and how to adapt recipes to your system, Strong shares more than 100 distinctive recipes. Strong also provides specific advice and sensory profiles for each beer. Strong’s recipes are provided as-brewed, with delicious variations to get the creative juices flowing. Modern Homebrew Recipes is more than a book of recipes; it’s a book that sets brewers on the path to discovering what’s new in the world of homebrewing. Home production of honey wine from your first batch to award-winning fruit and herb variations.As one of the most ancient of human beverages, mead arose in part because it was easy to make. Today’s hobbyists rediscover the simplicity of making mead while reveling in the range of flavors that can result. In THE COMPLEAT MEADMAKER, veteran beverage hobbyist Ken Schramm introduces the novice to the wonders of mead. With easy-to-follow procedures and simple recipes, he shows how you can quickly and painlessly make your own mead at home. In later chapters he introduces flavorful variations on the basic theme that lead to meads flavored with spice, fruits, grapes and even malt.